Cut a circle out of the top of each cupcake. Pipe the whipped cream into the center. Cut the circle rounds in half, this will form the wings, place back to onto the top of the cream. Place the cherry in the center. Finally dust with icing sugar. Hi Louise – Firstly, thank you for taking the time to read my about page. Yes, terminology can be a funny thing. Although I am in Canada for just of 20 years, I still call them cakes as that is what I grew up with calling them, and to be honest, I am not sure if I would ask a true Canadian if they will call it cake as well. I will have to find out from my true Canadian friends what they call it. 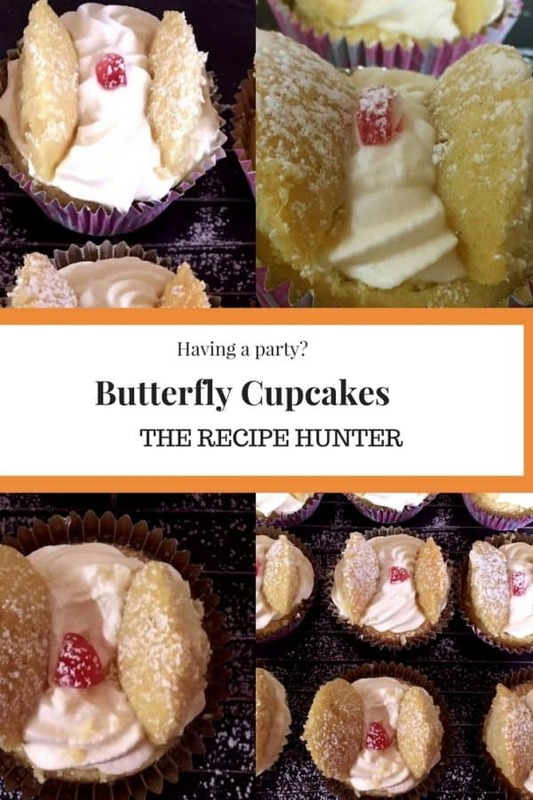 Esme I meant Butterfly Cakes specifically. That is exactly what we call them, sorry my comment was a bit confusing when I re-read. However I don’t think we will agree if it’s a briar or a BBQ. The old “argument” between South African and Aussie travellers when I was travelling in my twenties!